You have probably come across terms like metatag, crawlers, and bots while going through the internet, and you may have noticed that are becoming increasingly common. What you might not know, however, is that they are things that are crucial to the success of your accounting firm and its visibility. Each of these items are actually tactics, and they are three among hundreds that make up the world of SEO – something that can be the difference between failure and success in the digital world. As a result, it is important to be able to grasp the basics of SEO and how to use it effectively. In simple terms, SEO is the process in which your firm is made more visible in search engine results and on the web as a whole. As a result, it should be seen by more potential clients and traffic to your website should increase. Of course, this is not an easy process, and it is one that often takes a good chunk of time and work to get right. While many decide to pay people to do SEO for them, it is also important to have an understanding of how it works and some of the ways in which you can make your SEO better. Here is some advice for avoiding search engines condemning your website and, ultimately, your business. When having in mind the content of your website, it should be well written and good quality, as well as relevant and up to date. Your potential clients want to feel as though they can trust you and rely on your before they made the decision to hire. Most importantly, however, is that it is original and not directly copied from somewhere else. Google, in particular, prides itself on the fact that the internet is a resource for sharing knowledge, and exchanging information freely – so quality content will often be ranked higher. You can have the best content on the web, but it won’t mean anything unless it is also relevant to your target audience. You have to have an expert understanding of who you are and what your customers want. Once you have that, and the content is entirely relevant, you should also ensure that keywords are used liberally throughout to help boost your rankings. Understanding the keywords you should use also comes with understanding your potential clients and what they are likely to be searching for on the web. When it comes to credibility, one way to earn it is through the content on your website, but another is via inbound links. They are a key contributor to the success of an SEO strategy. Search engines like Google believe that if there are third-party websites pointing to yours, then it must be worth checking out. A good way to achieve this is to join accountancy related websites and become a contributor. That way, you will have inbound links to your website and will also gain more recognition. This is an incredibly important aspect that many people often don’t think about, but you must ensure that you provide your potential clients with an easy and seamless experience on your website so that they don’t go looking for an accountant elsewhere. It should be simple to navigate and have links placed in logical positions. None of the links should be broken, and the website itself should be very easy to index. All of these aspects will improve your SEO and the ranking of your website in search engine results. 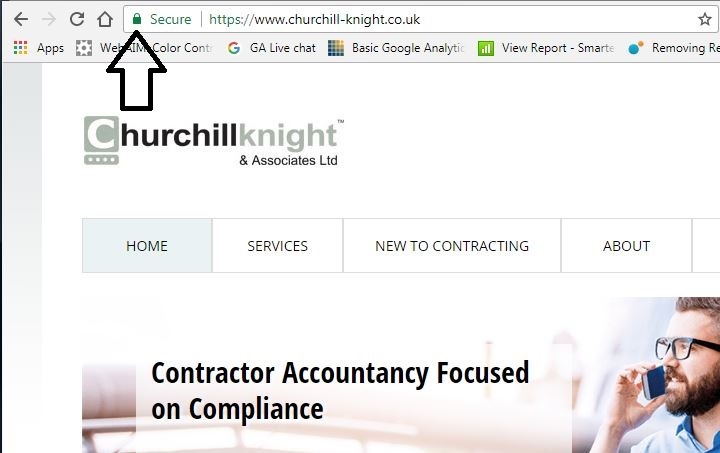 As a good example check one of the long-running UK contractor accountants firm. 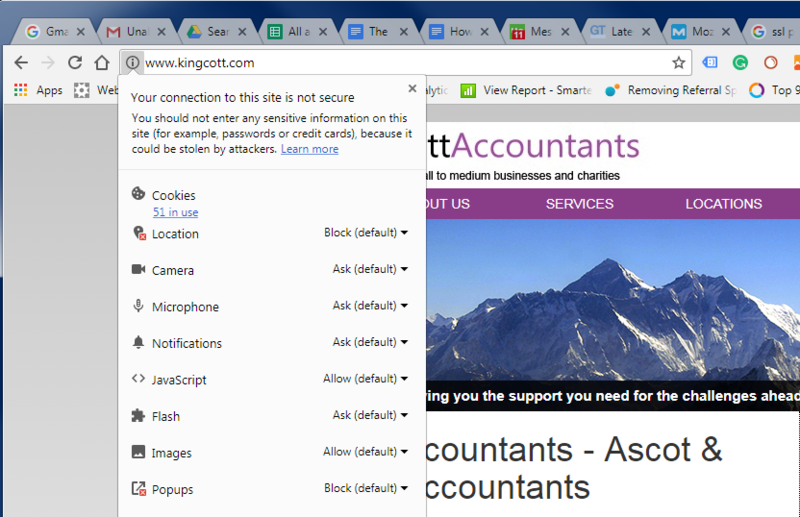 These are a form of site security that handle sensitive information – like all of your client’s personal details. They work to encrypt the information to keep it safe from those who might want to try and steal it, but also provide authentication by ensuring that all information from your website goes directly to the server without interruption. This helps to improve your client’s trust in you, but also helps to prevent phishing. You also get an official seal on your website to show that you are protected – boosting the power of your brand and ensuring your clients have peace of mind. Hopefully, this has helped you to better understand SEO and the ways in which you can implement it to get your accounting firm’s website’s ranking higher. However, it is important to remember that SEO is not something you can just do once and then forget – it has to be updated very regularly, and you need to keep on top of keywords, metatags, and other SEO related tools. While you can do it yourself, the best way to get top results is to hire an expert to do it for you.